Dance and music enthusiasts, look no more! 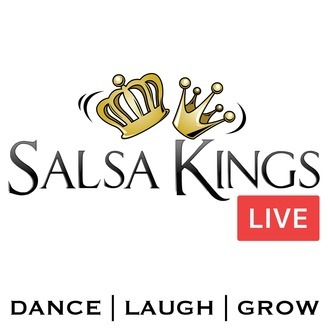 You have found the perfect podcast discussing fun and juicy topics while interviewing the biggest names in the Latin dance community for your listening pleasure. Never miss a beat as we learn and laugh together all while talking about what we love most, DANCE! Tune in now! 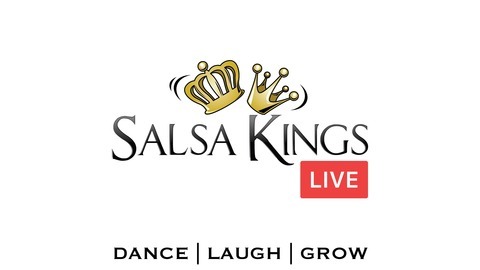 Welcome to Episode 32 of the Salsa Kings LIVE podcast! Crossing this plateau involves learning to feel the music, understanding the flow, and getting a feel for it, rather than depending on memorization. The artistic and emotional part of dance is intangible and can be difficult to teach, learn, put into words, and especially to do. Those going through their journey should try -as early as possible- to listen to the music and focus less on ‘doing’ the music movements and instead on ‘dancing’ to it. It can be easy for struggling dancers to be discouraged, to dismiss someone as just being ‘better’, without looking deeper and see how these ‘better’ dancers are allowing to music to touch and move them. Music is something that stirs humans. That’s why we make music after all. It is important for dancers to let the music affect their emotions. If a dance is not connected to song, it might not be ‘bad’ but, dancers should try and move on beyond that and become involved in the music, and not simply be executing techniques. This is something that should be introduced and considered from the beginning, so dancers don’t get bogged down by technique and stop thinking about the music. There are of course people who already feel this music, and their struggle is to control and focus that untapped potential and passion, so that can be used in a measured way in both social and professional dance. This can be a plateau to cross as well. The important thing is be a part of the music, and not simply being a machine to the music. While technique is obviously needed and necessary, an overemphasis on it can cripple an aspiring dancer and disconnect them from the music. Dance is, at its core, about self-expression and working in tandem with the music. Technique is the tool we use to do that. For those on that plateau, struggling to get to the next level, this episode will help you understand the art.